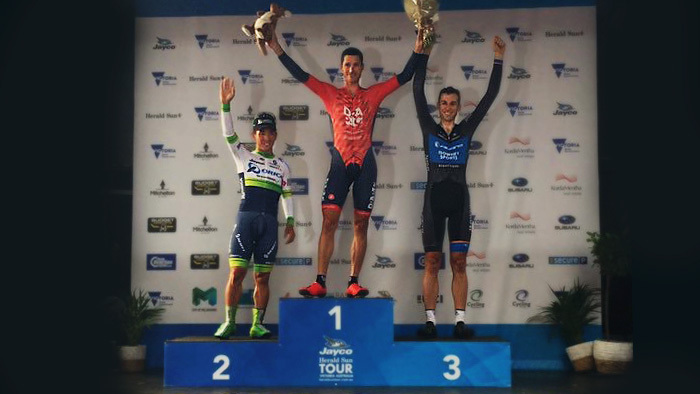 Just as he did in 2015, Will Clarke took the victory in the short Stage 1 Prologue at the Jayco Herald Sun Tour. A short 2.1kms long and on a fairly technical course through city streets with high speed corners, the prologue required high power output and strong handling skills. Taking the win by less than one second, Clarke pushed himself to the limit for the win. View Clarke’s Full Quarq File Here. Clarke’s Average Power was 601 watts, or 7.42w/kg, at an average heart rate of 179bpm. He hit his maximum of 1354 watts just 20 seconds into his effort. Over the 2.14km course, he averaged 49.4kph with a top speed of 64kph. His average cadence was 97rpm and he burned 90kj in under 3 minutes.